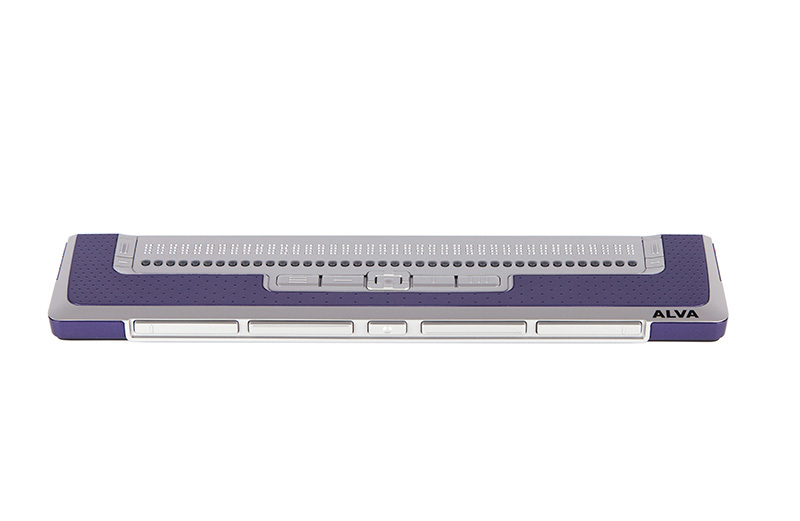 Sending and receiving e-mails, reviewing appointments and surfing the web, all in Braille. 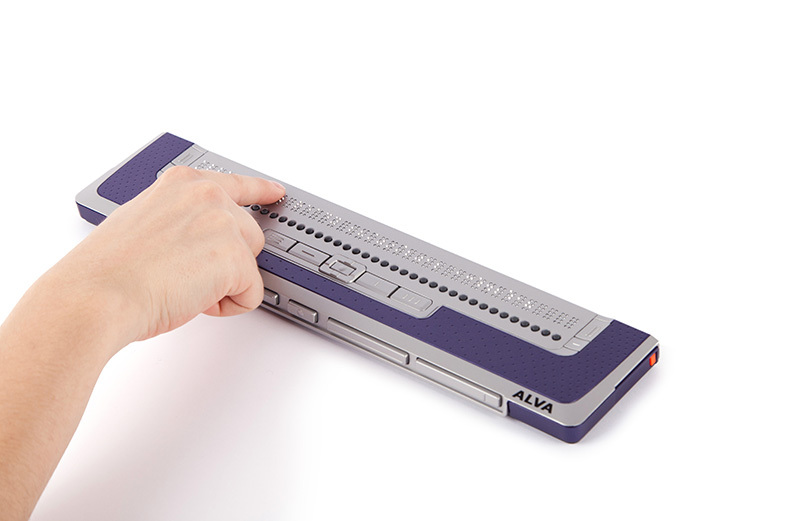 Offering 40 Braille cells, an optional built-in screen reader and high range integrated Bluetooth technology, the ALVA Braille Controller 640 wirelessly connects to your computer, smart phone or tablet without having to install a driver. 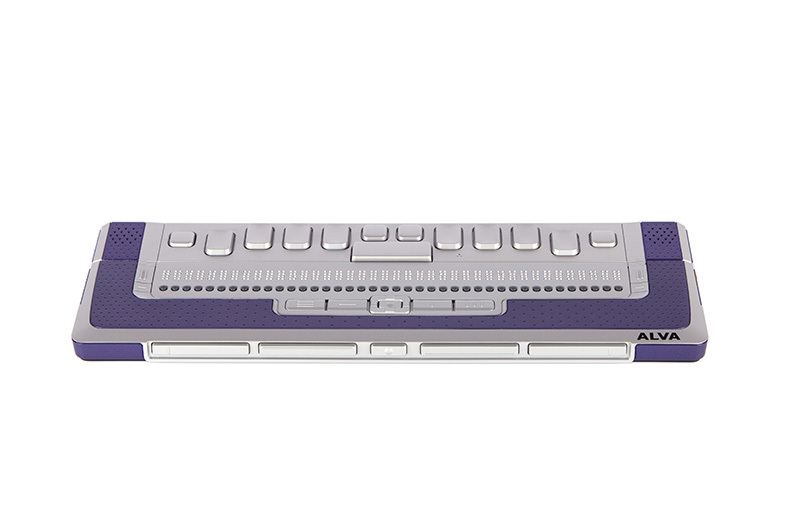 The Braille Audio Feature Pack makes the ALVA BC640 even more versatile. 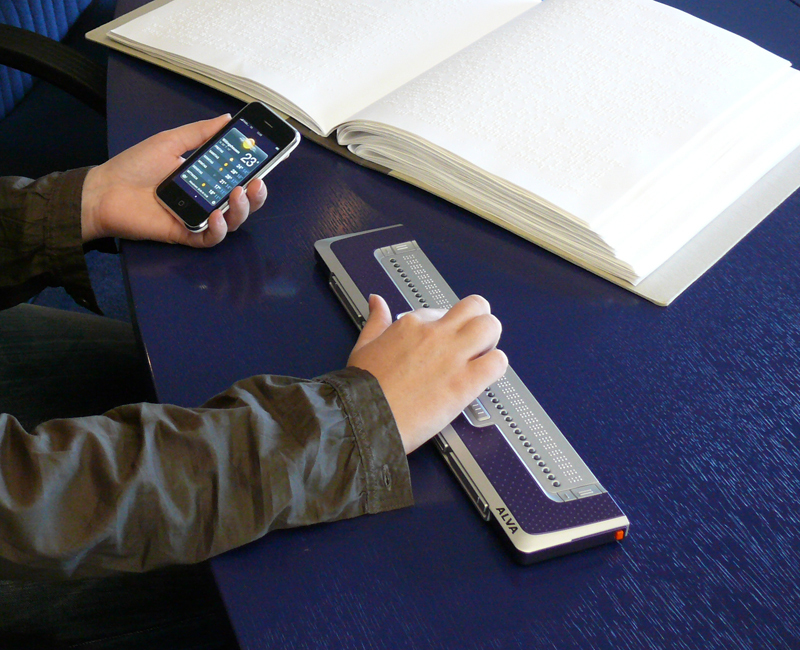 The integrated Braille keyboard enables you to take a quick note or write down a phone number. The ergonomically designed input keys reduce the need to use the computer- or smart phone- keypad. 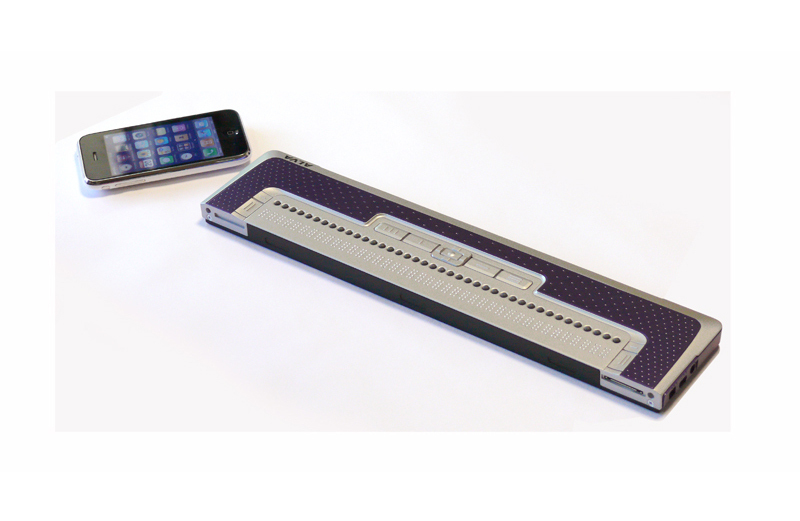 Integrated stereo speakers lets you listen to the speech output of your screen reader while reading Braille. 40 Braille cells for reading. 40 cursor routing keys positioned below the Braille line. 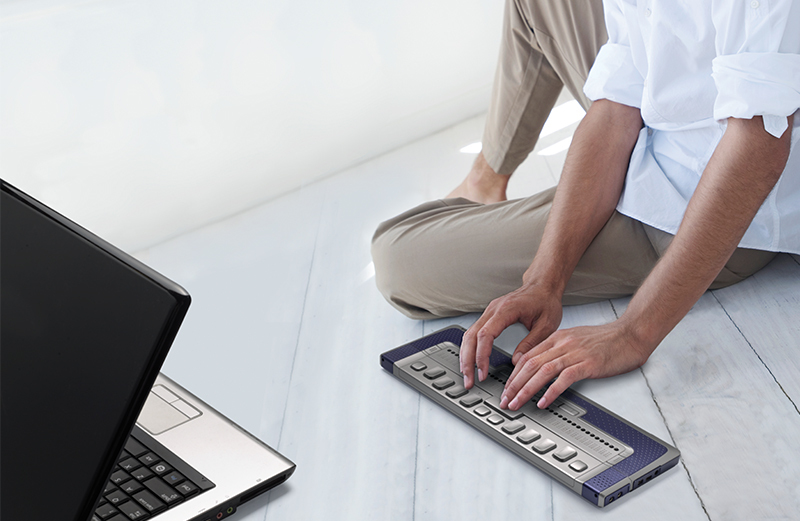 Smartpad with 5-way navigation key and 4 function keys. Possibility to include your preferred screen reader on-board. Integrated high range Bluetooth technology (within a range of 100 meters). Integrated Lithium Ion rechargeable battery: offering 10 hours continuous use with auto standby function. Dimensions: 13.3 x 2.9 x 0.7 in. 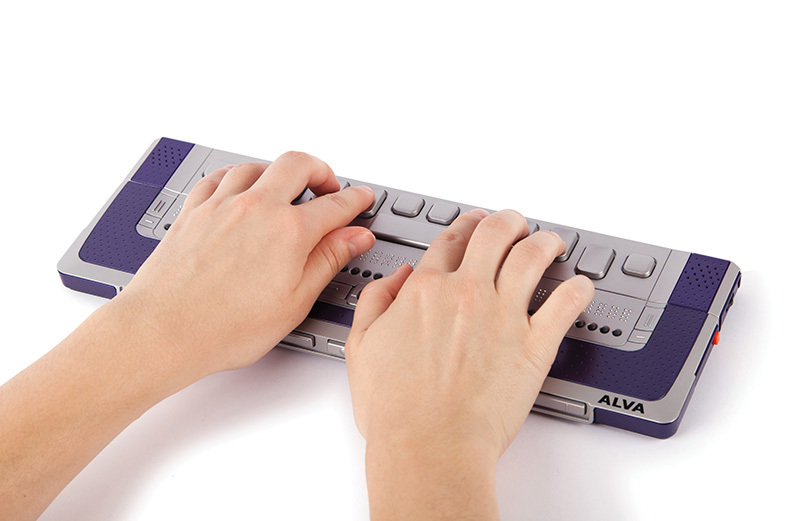 8 Braille input key for writing. Keys for Control, Windows, Enter, Alt and Spacebar. Volume control and mute button. Additional rechargeable Lithium Ion battery (extends the battery life of the ALVA BC640 up to 20 hours of continuous use). 3.5 mm headset and microphone connections. Windows 7 and 8 (32-bit and 64-bit): JAWS (version 10 and up), SuperNova, Window-Eyes, NVDA, System Access To Go. Windows Vista and Windows XP: JAWS (version 10 and up), SuperNova, Window-Eyes, NVDA, System Access To Go. Apple Mac OS X Leopard, Lyon, Mountain Lyon and higher: VoiceOver. Apple iPod Touch, iPad and iPhone iOS 5.1 and higher: VoiceOver.